How was your experience at Blue Dog? We want everyone to leave our store excited about their purchase. We enjoy getting feedback from our customers and appreciate the effort it takes to write a review. 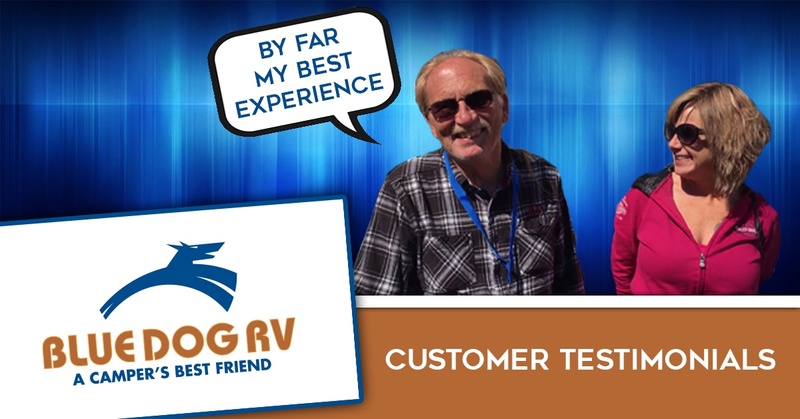 If you have purchased an RV from Blue Dog RV and would like to share your testimonial, story, or favorite camping adventure, Email Us or post on our Facebook Page. Click to see our Customer Testimonials on YouTube. LEAVE US A REVIEW AND SHARE YOUR EXPERIENCE AT BLUE DOG RV. JUST CLICK ONE OF THE LINKS BELOW FOR YOUR LOCATION.